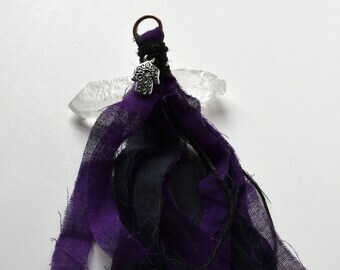 Sari Silk Mala Tassel. Great source of protection or use in meditation. 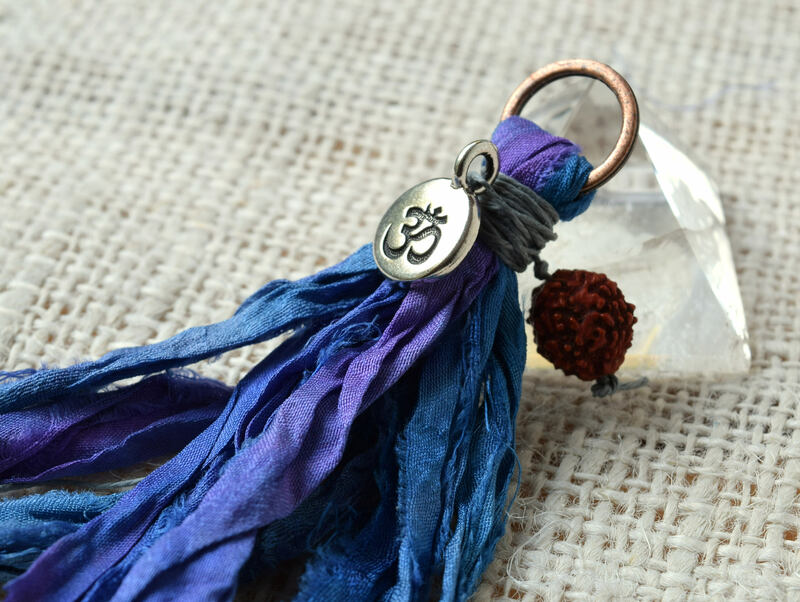 I have added a Rudraksha bead from India and a silver plated Ohm symbol charm. The Ohm / Om symbol represents the consciousness of the Universe. Rudraksha beads are used as prayer beads or worn for protection. The tassel measures just over 3 inches in length. 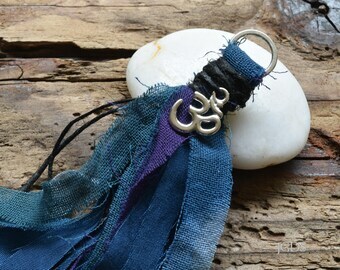 I made this with recycled sari silk ribbon, hemp twine and silver plate Ohm charm. Blue / Purple blend. Copper ring.